Plushbeds Solid Latex Pillow Review was recently completed by the MattressJunkie.com team. Plushbeds manufactures and sells luxury mattresses and sleep products that promote good health and facilitate quality sleep. At Plushbeds, the focus revolves around finding the highest quality, non-toxic materials, luxurious comfort, and relentless innovation. Plushbeds ships direct to consumer so the prices are very affordable. Check out what we thought about the Plushbeds Solid Latex Pillow below. 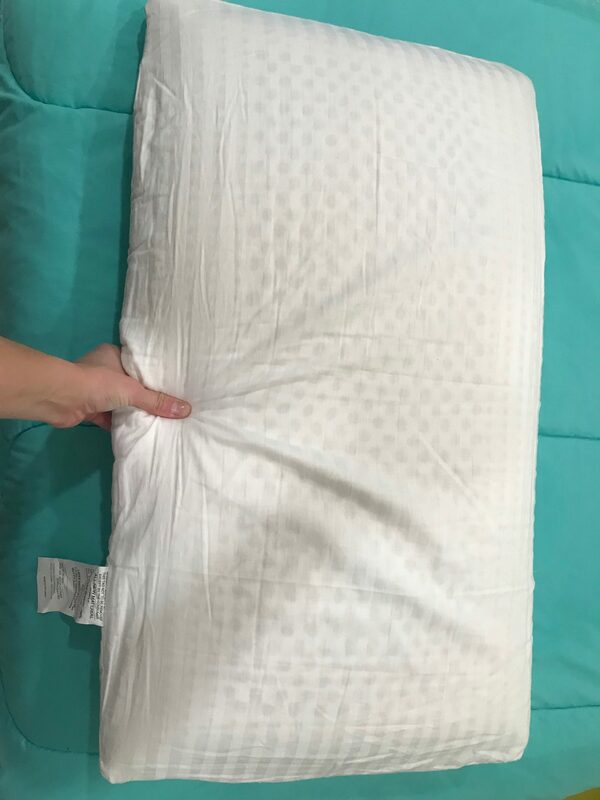 What sleep position is best for Plushbeds Solid Latex Pillow? 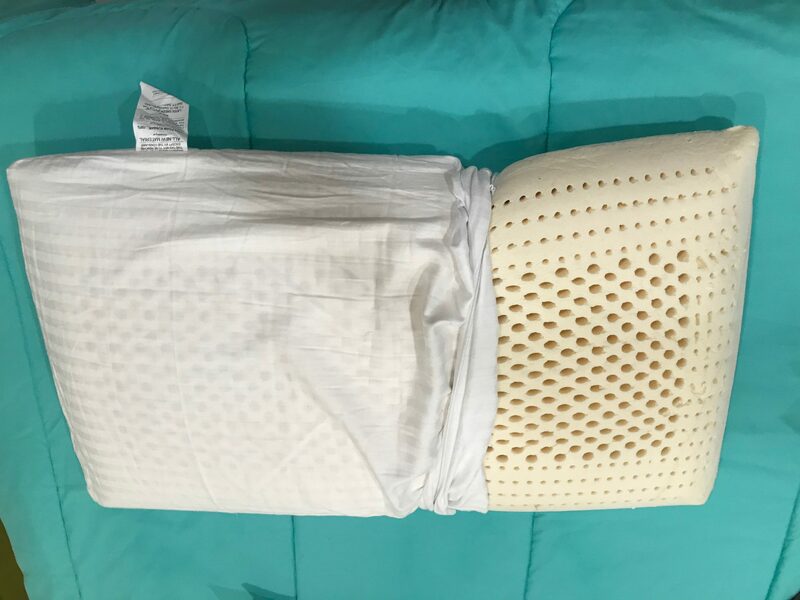 The Plushbeds Solid Latex Pillow is a medium loft pillow and would work best with side and back sleepers. Tell me more about the Plushbeds Solid Latex Pillow cover. Plushbeds uses an organic cotton cover on their solid latex pillow. What’s under Plushbeds Solid Latex Pillow cover? The Plushbeds Solid Latex Pillow is made from Talalay Latex. Talalay Latex is softer and goes through a more rigorous manufacturing process that ensures consistent levels of firmness. The Plushbeds Solid Latex Pillow is bouncy and buoyant. The soft spring of Talalay Latex is excellent with pressure relief supporting the neck and head. The open cell structure allows maximum airflow and ventilation. Natural latex (Talalay Latex) is excellent at temperature control as well as dust mite and mold resistant. Talalay Latex is also hypoallergenic so those with allergies would benefit from the clean sleep surface. How much does the Plushbeds Solid Latex Pillow cost? The Plushbeds Solid Latex Pillow is $79 for standard size, $89 for queen size, and $99 for king size. Would we recommend the Plushbeds Solid Latex Pillow? I personally sleep with at least two Talalay Latex pillows per night because they are so comfortable. Talalay latex is so lightweight but supportive. 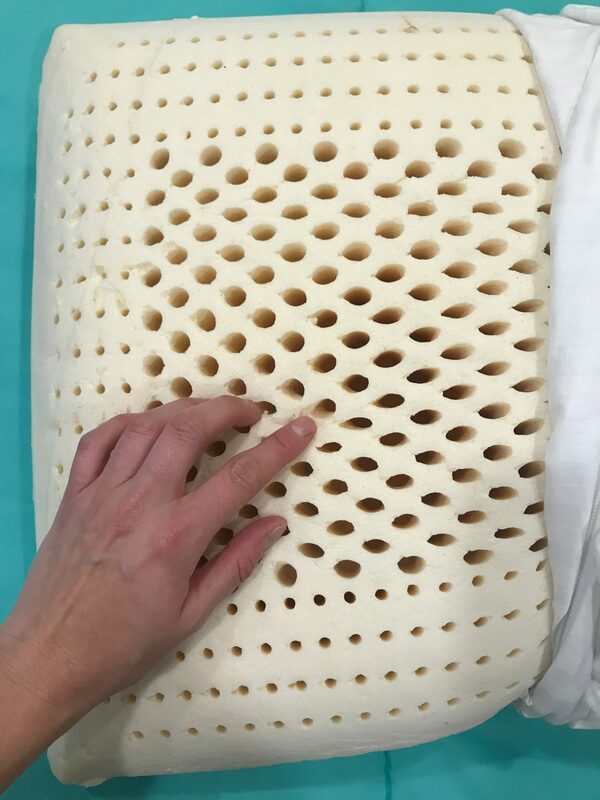 This pillow is definitely something everyone should try especially if they haven’t experienced Talalay Latex before. The pillows never go flat or lose shape. 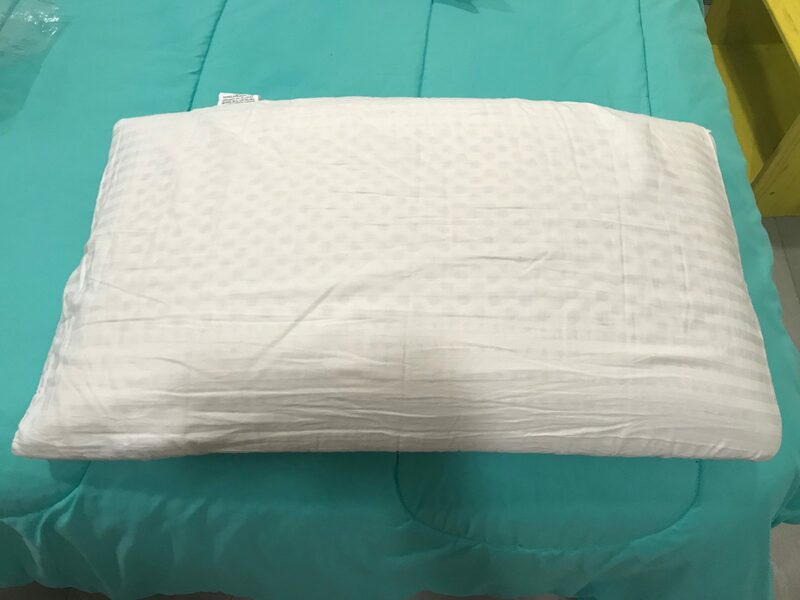 If you tend to sleep hot and need a new pillow, the Plushbeds Solid Latex Pillow would be a great option for you. 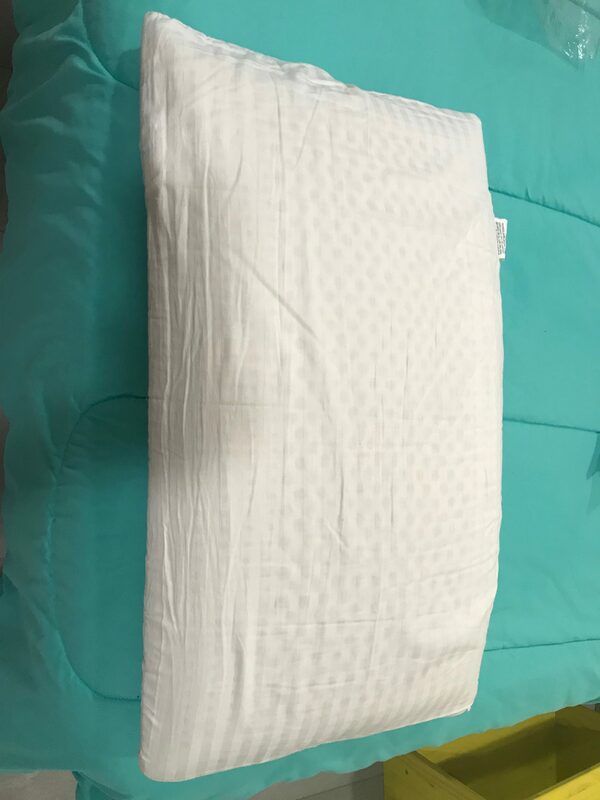 Get your Plushbeds Solid Latex Pillow here…..